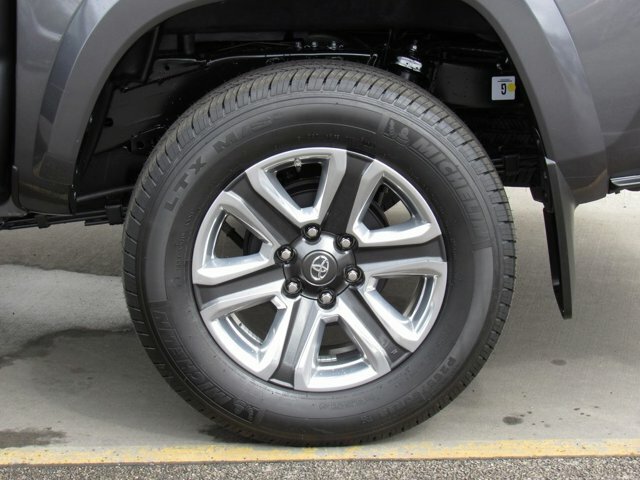 Find a great sale price on this 2019 Toyota Tacoma Limited at Toyota of Bellingham in Bellingham WA. This 2019 Toyota Tacoma Limited is located at our Toyota dealership in Bellingham. We also serve the cities of Mount Vernon, Anacortes, and Everett. So if you're looking for a great price on this 2019 Toyota Tacoma Limited or just looking to get an auto loan for the vehicle you want... you've come to the right place! Toyota of Bellingham. Price is after all rebates and incentives and does not include Tax, Title, License, Registration and Documentation Fees. Customer may qualify for additional incentives. See Dealer for Details $750 - TMS Customer Cash. Exp. 04/30/2019 Toyota of Bellingham is pleased to offer this. Limited V6 Gray V6 Toyota of Bellingham Excellent selection of New and Used vehicles, Financing Options!